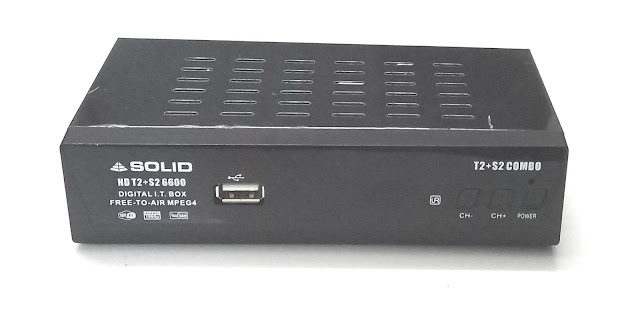 Solid launched India's first DVB-S2+DVB-T2 Combo double tuner free to air satellite receiver to receive free to air TV channels from different-different ways. Now you have many questions in your mind that what is the use of multiple tuners in the single set-top box. Sure, here I will brief this information. As you know this blog is only for the especially set-top boxes. So today we will let you that how this set-top box can receive Doordarshan's DTT (DVB-T2) and Doordarshan's DD Free dish channels using this box. As you know Doordarshan recently stopped its old analog service which was broadcasting Doordarshan and Doordarshan News channels but now Doordarshan started its terrestrial broadcasting digitally using DTT (Digital Terrestrial Television) technology. So you can connect old traditional TV antenna in this set-top box and scan, you may receive 2-10 Doordarshan's channels in digital picture quality and sound. If you don't have space for satellite dish antenna then it is for you. If your dish antenna not getting signals in rainy seasons then you can get few Doordarshan and FM channels by DTT. Just install your small ku-band DTH antenna to GSAT15 satellite and blind scan by the set-top box. You will receive 150+ free to air TV channels from DD Freedish. If you have a digital cable connection and you forget to recharge, then you can scan by "Auto". It will receive all free-to-watch TV channels like Doordarshan. But its depend that your cable operator broadcasting fta channels or not. 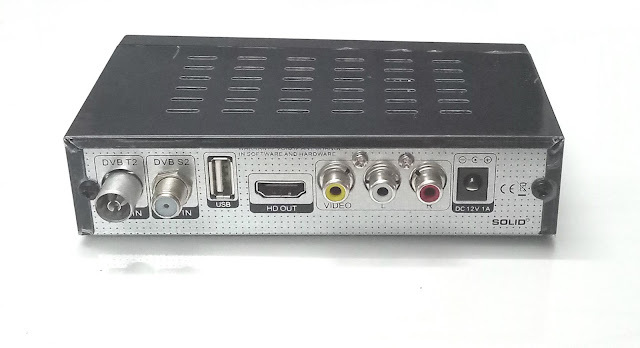 What is the price of this T2+S2 combo set-top box? Where you can buy ? It is still in the production and testing area. when can we expect a model with dvbs2+dvbt2+c combo with H.265 HEVC (not mpeg4)? A long awaited product finally launched by Solid. Although many such are available on Chinese online shops but its good to have from Indian manufacturer. Price is bit high INR2500/box and need to reduce further.